Renfrew Institute provides free family-friendly community events throughout the spring, summer and fall. 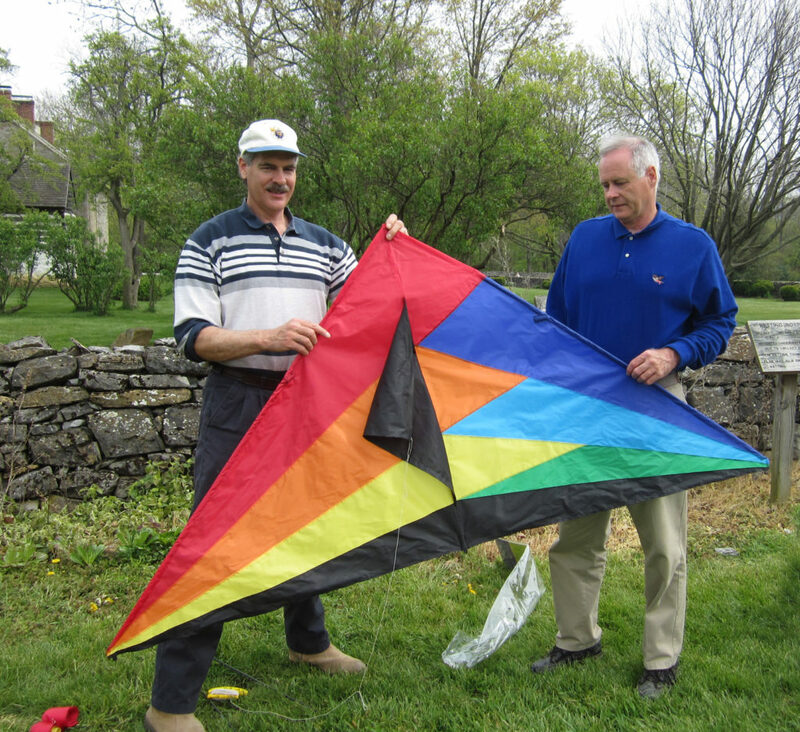 From the Annual Kite Fun Fly and Earth Celebration Day & Festival of Art in April, Youth Festival in May, sizzling Jazz Fest in August to Halloween Storytelling in October, there are exciting family activities happening month to month. Most take place outdoors in the beautiful Renfrew setting. Check out these family-friendly, fun events! Watch this amazing video by local photographer, videographer, and video editor, Andrew Gehman, created during the 2013 Fun Fly. Watch the video here. Saturday, April 27 • 11 a.m. to 4 p.m.
Renfrew Institute celebrates spring with environmental exhibits, music, student clothesline display, food stand, and drum circle. At the Festival of Art area artists will display, demonstrate, and sell their works as part of Earth Celebration Day. Free admission. Event will take place outdoors in Renfrew Park. Please come prepared for an outdoor day, (light) rain or shine. Subject to cancellation in the event of heavy rain. Check our Earth Day calendar page for fliers and exhibitor lists when posted. Watch a video of the 2013 event, created by Andrew Gehman. The theme for 2019 will be announced soon. Sunday, May 26 • 1 to 5:30 p.m.
See the details on our 2019 Event Page here. Check out this cool video from 2013, created for the institute by Andrew Gehman. Plus, visit our Flickr page to see great photos from 2015! 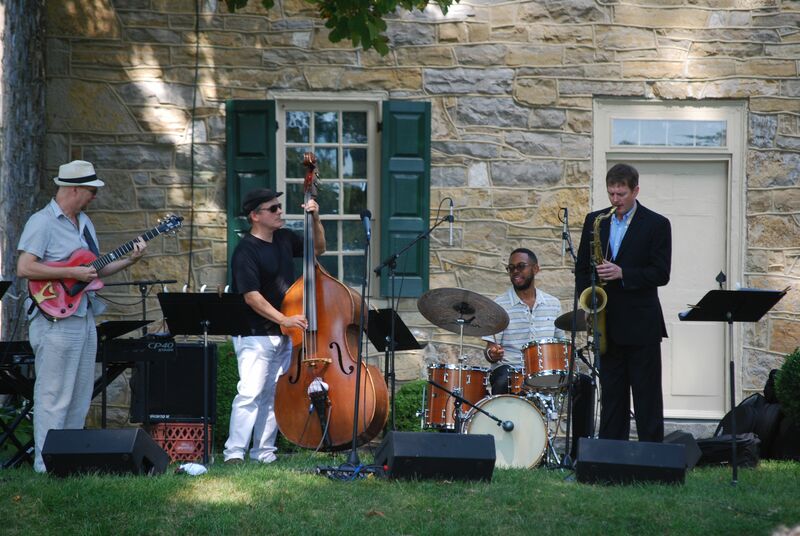 Guitarist Paul Bollenback, Ed Howard on bass, drummer Jerome Jennings and Eric Alexander on tenor sax play during Jazz Fest 2016. Sunday, August 25 • 2 to 4 p.m. Underwriting support provided last year by lead sponsor, FirstEnergy Foundation on behalf of West Penn Power, plus a grant from the Pennsylvania Partners in the Arts, a state agency funded by the Commonwealth of Pennsylvania and the National Endowment for the Arts, a federal agency. Additional support provided by Franklin County Visitors Bureau, and Stephen D. Fisher. Additional sponsors welcome! Renfrew Institute’s annual jazz festival spotlights top professional artists each year with stellar performing artists that light up the outdoor stage with hot summer jazz. Check out our event page for information on this year’s all star lineup of musicians. The concert is followed by an informal question and answer period. Free and open to the public. On the lawn behind the Renfrew Museum house. Flier with all details coming soon. [Rain site: Waynesboro Area High School auditorium]. Enjoy a taste of the Jazz Fest with this video! Wednesday, October 23 • 6:30 to 8 p.m. 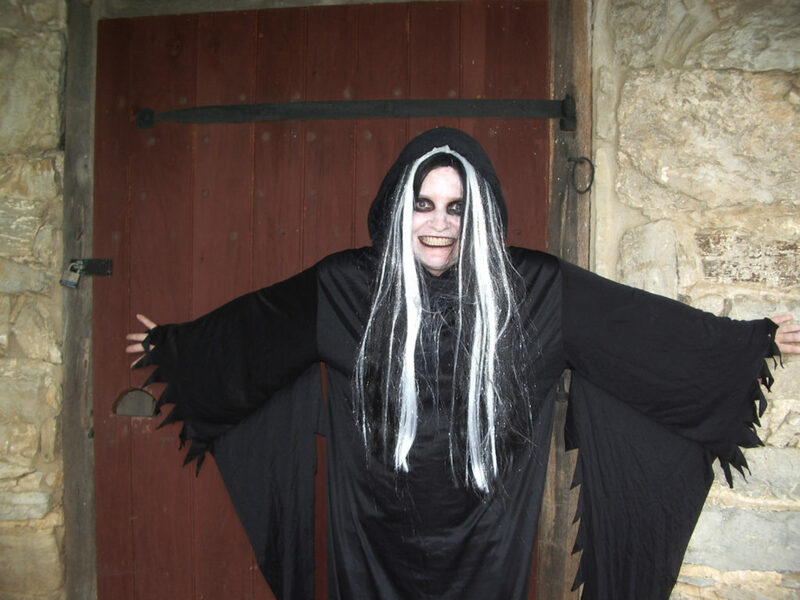 Annual evening of spooky tales featuring a local storyteller. Held in the Wagon Room, inside the Visitor Center at Renfrew Park. The program is free of charge and open to the public. Storytelling will be divided into two sessions. Beginning at 6:30 p.m., the first half hour of stories will be suitable for children of all ages. All children must be accompanied by an adult. At 7 p.m., families with younger children may leave if they wish. Jennifer Vanderau in Halloween storytelling garb.